When a loved one or family member suffers a brain injury, you may take the role of caregiver – a role that can be exceptionally challenging. At the very least, it’s a stressful time that can call on all of your mental and physical resources and abilities. The fact is, few injuries are as devastating as a severe brain injury. The person who suffers one may behave, think, and see the world differently than he or she did prior. Providing support and being their caregiver, is often a delicate, demanding task. Here are some suggestions to keep in mind. Maintaining a structured environment is essential for providing care to someone who’s suffered a brain injury. The structure will minimize potential issues by providing the individual a consistent, dependable way of life. It provides you (the caregiver) with a disciplined approach that accounts for most variables and inevitable challenges that may arise. 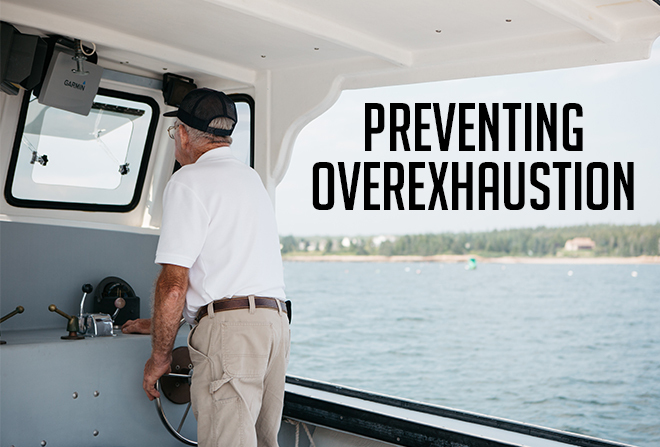 It also means maintaining a schedule that provides as much activity as the patient can handle, without becoming overly fatigued. Don’t tell them they’re not trying hard enough – Apathy, not laziness, is common after a brain injury. Recognize apathy and take steps to treat it. Understand the invisible signs – A person with a brain injury often suffers from hidden signs such as fatigue, depression, anxiety, etc., and saying that they “look fine” to you is belittling. Don’t complain about having to repeat yourself – Almost everyone who suffers a brain injury will experience some memory problems. Becoming frustrated that you have to repeat yourself only emphasizes the issue. Remain patient when they’re not – Irritability is a common sign of a brain injury and it can come and go without reason. If you are always pointing out their grumpiness, it doesn’t help the situation. Don’t remind them how much you do for them – The person may already know how much you do for them – and feels some guilt about it – or may not understand at all (depending on the severity of their injury). Become involved in their recovery during the rehabilitation process. Doing so enables you to have a clear understanding of struggles the person will face, and strategies that you can implement at home to lessen the impact of these problems. Check with your physician whenever you notice any behavioral changes in your loved one, or person you are caring for. Seizures can develop after a brain injury and occur several months, or even years after the injury occurred. Your physician may recommend anti-seizure medications. It can be easy to ignore personal fatigue and frustration while you’re caring for someone with a brain injury. Taking time for yourself, calling on the help of others, joining a caregiver support group – all are ways that can assist you from becoming physically and emotionally exhausted. Above all, be kind to yourself and give yourself credit for all that you do. Perhaps no one understands the challenges of caregiving more than a caregiver. Sure, that seems obvious, but caregiving is a unique occupation that includes its share of rewards, but also its share of physical and mental stress. 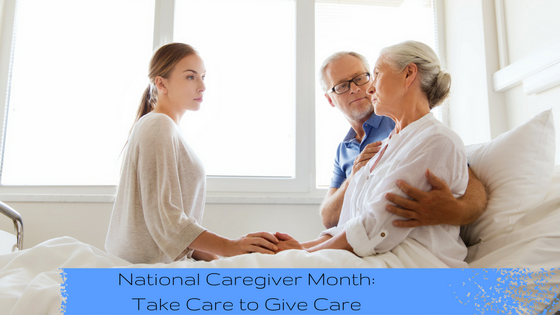 November is National Caregiver Month and this year’s theme is “Take Care to Give Care.” It addresses caregiving’s challenges and the need for caregivers to take care of themselves while taking care of others. The list of caregiving responsibilities can be long, indeed, from managing medications to monitoring your patient’s progress, and it can be easy to forget about your personal needs – sometimes to the point of sacrificing your own health. That’s why it’s helpful to set personal health goals such as making a commitment to be physically active a certain number of days per week or establishing a consistent sleep routine. It’s important to maintain your strength, energy, and stamina to meet the demands of your day-to-day duties, while also strengthening your immune system. A great way to do this is by making sure you’re getting proper nutrition and maintaining a healthy diet. Research has shown that one out of five caregivers say that they have sacrificed their physical health while performing their occupational duties. Caregivers, whether family caregivers or those who provide care in a professional setting, have on average more health and emotional problems than people in most other occupations. For example, caregivers are twice as likely to suffer depression and are at increased risk for many other chronic conditions. You may feel that there’s not enough time to rest and recharge your batteries. But doing so is vital, especially when you consider that caregivers are at a higher risk of health issues due to chronic stress. Take advantage of every opportunity to re-energize and give your mind and body a break. Take time to find out about caregiving resources in your community. A caregiver support group can provide problem-solving strategies but also validation and encouragement. It can also be a place to develop meaningful relationships. It can be easy to put all the burden on your shoulders while believing that you shouldn’t have to ask for help. But create a list of ways that others can help and don’t be afraid to ask, or accept, their help. There’s no such thing as a ‘perfect’ caregiver, and it’s important to remind yourself that you’re doing the best you can at any given moment or situation. Focus on the positives and believe that you’re making the best decisions. As caregiver for a loved one who has suffered a stroke, you play an important part in the recovery process from the beginning. But it’s a role that also comes with many challenges and can cause high levels of mental, physical and emotional stress – both for you and the stroke survivor. 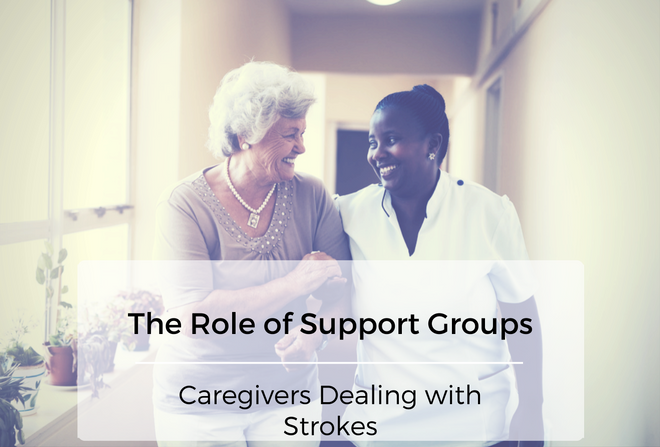 Many caregivers feel inadequately prepared to deal with the challenges of caring for someone with disabilities brought on by a stroke. But that’s why the importance of support groups – and support in general – cannot be emphasized enough. It’s estimated that there are 5 million stroke survivors alive in the U.S. today, with nearly 30% of them being permanently disabled as a result of their stroke. The acute nature of the disease puts extra stress on caregivers who are typically serving their same roles within their own family while also handling the duties of a caregiver. According to one study, the importance of emotional support for caregivers is crucial. And the importance of informal support is similarly important, because many caregivers are apprehensive about seeking formal support for a variety of reasons, including financial and time spent apart from the care recipient. Caregiving can take its toll physically, as one study indicated that caregivers suffer from a variety of physical symptoms, including, headaches, fatigue, joint pain, disrupted sleep patterns, as well as a variety of emotional symptoms such as sorrow. These symptoms can increase as caregivers get older, and emphasizes the importance of friends, family, or outside help, in assisting with the physical aspects of care, including the activities of daily living. Over 80% of participants of one study reported fatigue and stress because of their caregiver duties. The emergence of the Internet has made healthcare information available 24 hours a day and has become an important resource for caregivers. Professionally-managed online support groups are gaining credibility, and are giving caregivers the opportunity to receive personalized information through discussion groups, and also the opportunity to talk live with nurse specialists. The importance of social support, which includes both emotional and physical support, has been shown to have a positive impact on a caregiver’s psychological well-being. Without assistance or support, however, experts agree that the caregiver can become the “second patient” within a family. The good news, however, is that support is available in ways that it never was before. With kids going to camps, grandkids coming to visit, taking road trips, and vacations. Summer can often place stress on people even those who are in the best of health. But, when you or a loved one is recovering from an injury or surgery, this time of year can be even more overwhelming. When the body is recovering from a recent trauma, it needs as much nurturing as it can get. While “nurturing” does mean rest, it can also mean that you need to keep up with your exercise routine or stay on top of your diet. All of these essential factors in recovery can be easily tossed out the window during road trips. Risky travel is often chosen over missing family, sugar and fat-filled meals abound, and changes in schedule can derail the motivation to keep up with your exercises. Since a proper and nurturing recovery is something we strive for here, we’re taking this opportunity to share a few tips for patients and caregivers to keep summertime both happy and healthy. An upcoming vacation is an especially stressful time for caregivers, who are focusing on both their loved one’s and their own summer enjoyment. One of the best things a caregiver can do during a stressful summer season is to ask for help. It could mean hiring someone to help take care of dinner or a loved one’s needs, or it could simply mean asking a family member to help during meal preparation or other busy times. If you’re a caregiver, allowing yourself a few breaks will help keep you sharp enough to tend to your loved one and enjoy the season. If no help is available, then it’s a good idea to scale back your summer plans. Be sure to listen to your body and mind, and take on only as much as both you and your loved one can handle. As a patient, it’s imperative to remember that you need time to heal. Right now, your body is putting many of its resources toward healing, and the decisions you make during summer can greatly affect your recovery time. If your doctor has prescribed any exercises for a home exercise program to aid in your healing, be sure that you and your caregiver have scheduled some time in which you can do them. Your healing body is not aware of what time it is; it’s only aware of what it needs to repair itself. Similarly, your body also needs to receive nutrient-rich, healthy food. Recovering patients often have restricted diets… and for good reason. Different foods affect your body in different ways, some of which can negatively impact your recovery. If your doctor has prescribed a special diet for you, it’s important to stick to it, even during vacations. If both the caregiver and patient can communicate and work together, it will make summertime all the more relaxing and enjoyable. A good thing to focus on is limits and boundaries. What are the patient’s telltale signs of fatigue? Which family members or situations cause undue stress, and can they be avoided? With some planning, diligence, and communication, summertime can be experienced positively, and can ultimately strengthen the bonds between caregiver and patient. Lafayette Regional Rehabilitation Hospital is part of Ernest Health. Ernest Health provides specialized medical and rehabilitative services to our patients through our rehabilitation and long-term acute care hospitals. We treat patients who often are recovering from disabilities caused by injuries or illnesses, or from chronic or complex medical conditions. Our leadership team brings extensive healthcare experience to Lafayette Regional Rehabilitation Hospital. We invite you to meet them and learn more about why they are passionate about healthcare. At Lafayette Regional Rehabilitation Hospital, we are committed to being good neighbors and responsible corporate citizens in the Lafayette community.